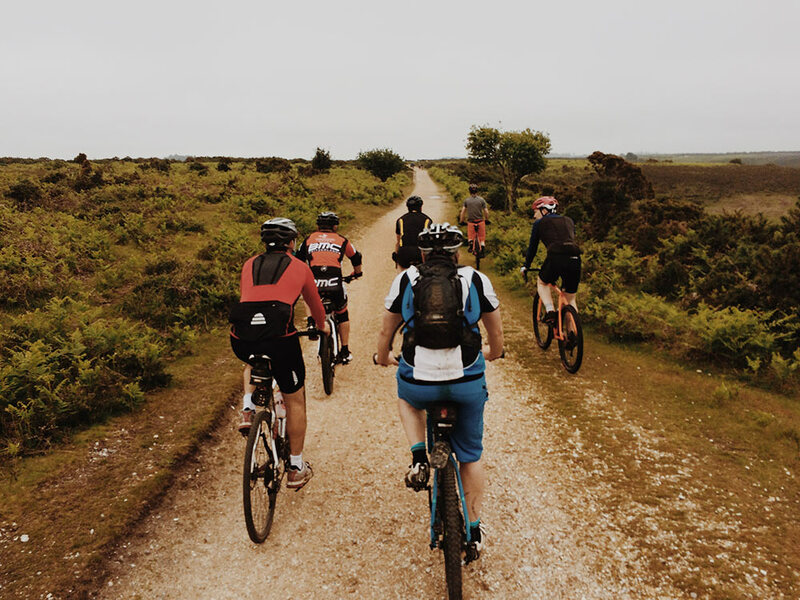 On a potentially inclement May Bank holiday, 11 of us enjoyed a 42 mile cycle ride around the New Forest on a mixture of gravel paths and roads. What’s more, the rain held off for most of the ride! The route took in some new Gravel Ride sections including Denny Wood and Linford (thanks to @cycling_stewsie for the Linford tip & photos!). 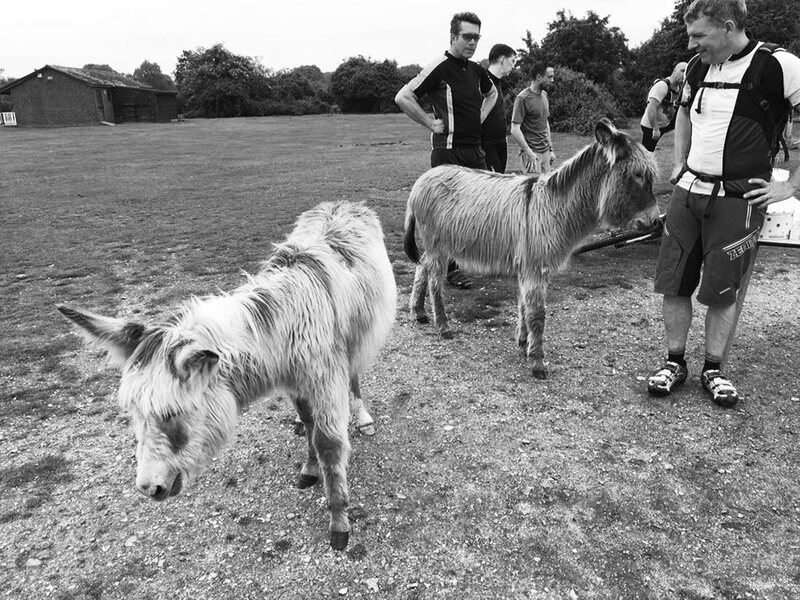 The ‘official’ cake stop was at Hyde again and gave us the much needed boost to make it back to Brockenhurst. Climbing up onto the old Ashley Walk Bombing Range we made a stop at the massive directional arrow embedded in the ground that was used to point to the illuminated target. 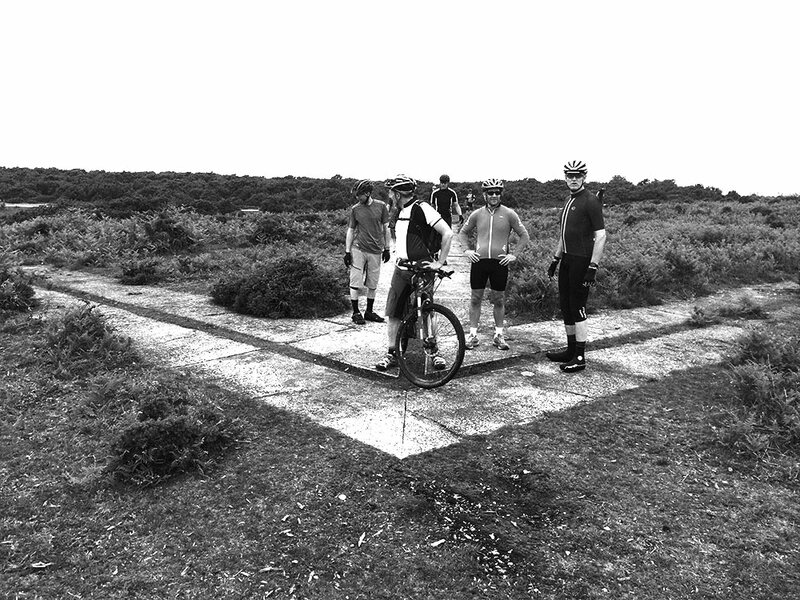 The New Forest is full of WW2 history, from airfields to bombing ranges! 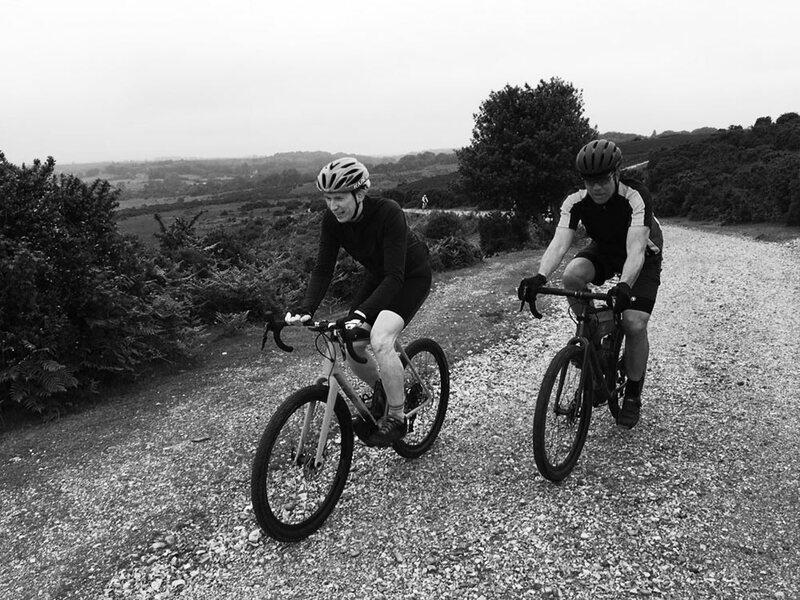 This area of the New Forest has to be a favourite – fantastic views and good gravel. Then it was back south to Brockenhurst. 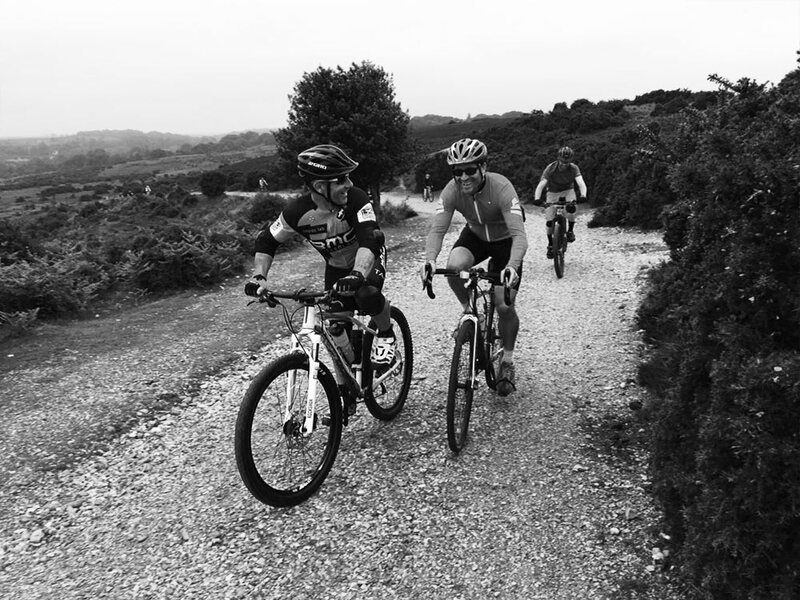 Whilst we had fewer punctures than Gravel Ride No.1 it still became a test of who would make it back to Brockenhurst station without having to get the repair kit out! All in all, was a great ride and thanks to all those who signed up and came along. The route will be going on the Routes page soon too.